You are here: Home » The need for more power and the recharging dilemma. The need for more power and the recharging dilemma. How frustrating is it just when you have to take a call you notice you have 1% left and no plug or charger around. Yes every so often days don’t go to plan and that full charge the previous night didn’t get time to complete or you are out of the office using the iPhone all day and by 4pm it’s on 3% and you are still a few hours from home. What are your options? With the iPhone 3GS I bought one of those battery covers as the battery life was terrible. Flicked a switch on the bottom and it started charging my iPhone and it was good for another few hours. However I like the size, weight and shape of the 4S too much to compromise it with a big batter cover. That combined with the fact I use my iPad so much meant I really wanted a solution that could work for both. So off I went for a search. 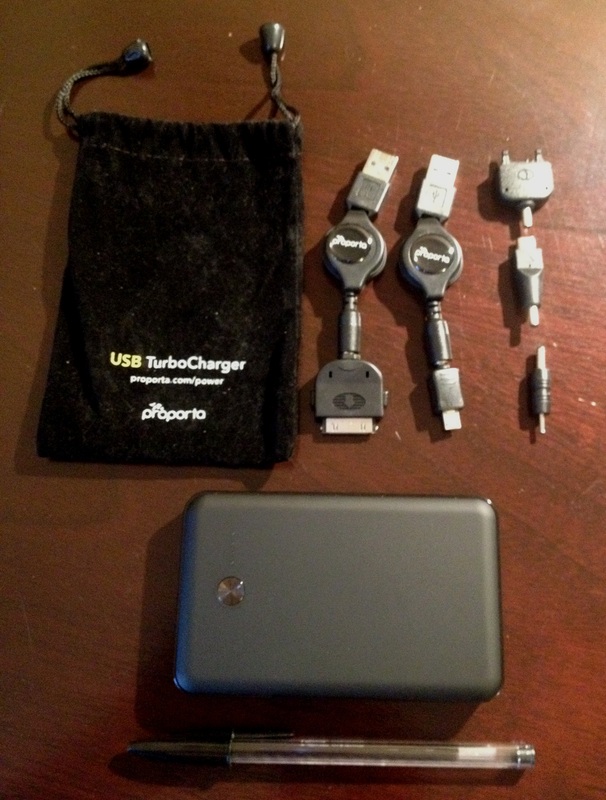 After a bit of reading I decided on the Proporta USB TurboCharger. It has a capacity of 7000 mAh which when translated means it has enough power to recharge a device a few times. It has connectors for most devices so whether its my iPad or my kids Nintendo DS this will work. It has an LED display that will show you how much power is left and at just 175 grams I can throw it in my bag and not even know it’s there. It comes with 2 little extendable cables, a car charger (not shown above as it’s in my car), plug and little velvet case. Most days it just sits in my bag but those days when there is excessive travel involved or its jut been a busy day on the device this has come to the rescue. 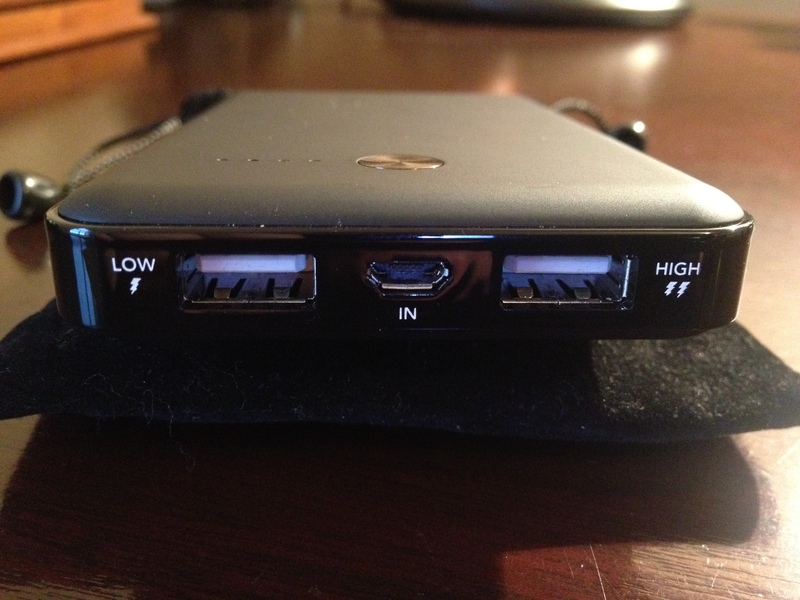 It even has 2 charging ports if you really want need to charge 2 items at the same time. So if you sometimes find the need for more power then this little device is a very handy one to have sitting in your bag.